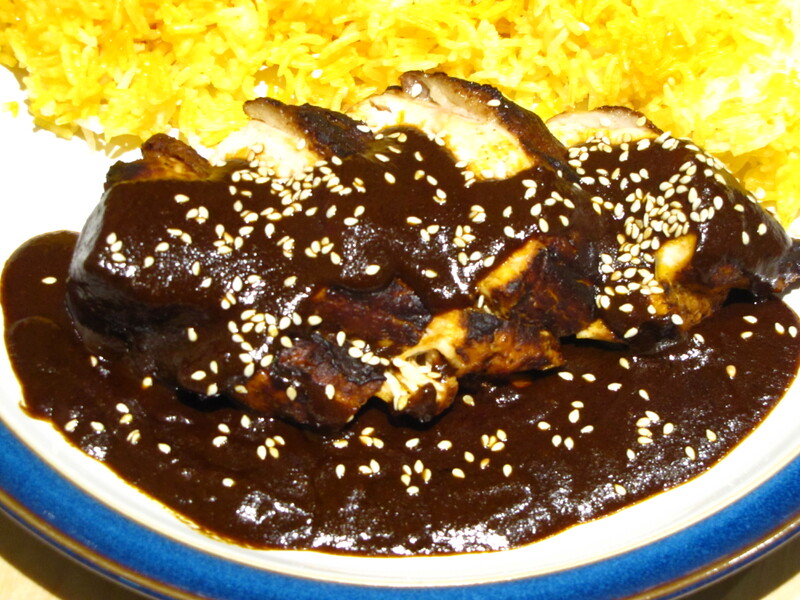 Mole (pronounced mo-lay, Mexican Spanish for ‘concoction’) is the name given to a range of traditional Mexican sauces, of which Mole Poblano is probably the most famous. 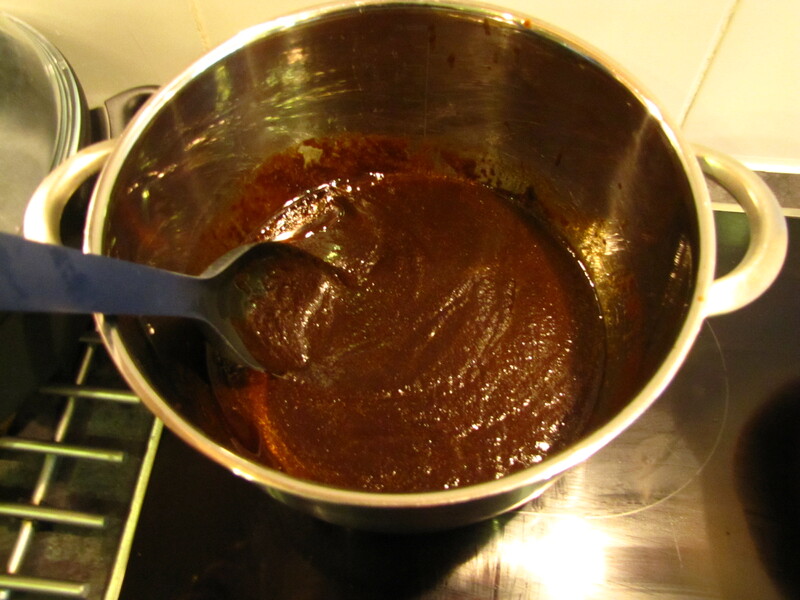 This sauce has extremely complex and refined flavours, blending the superb combination of chocolate and chilli to produce a rich, dark, thick sauce which particularly complements chicken. Despite the number of Chillies in this recipe, it is amazingly mild and balanced – yet another example of how chilli can add wonderful spice without being hot. 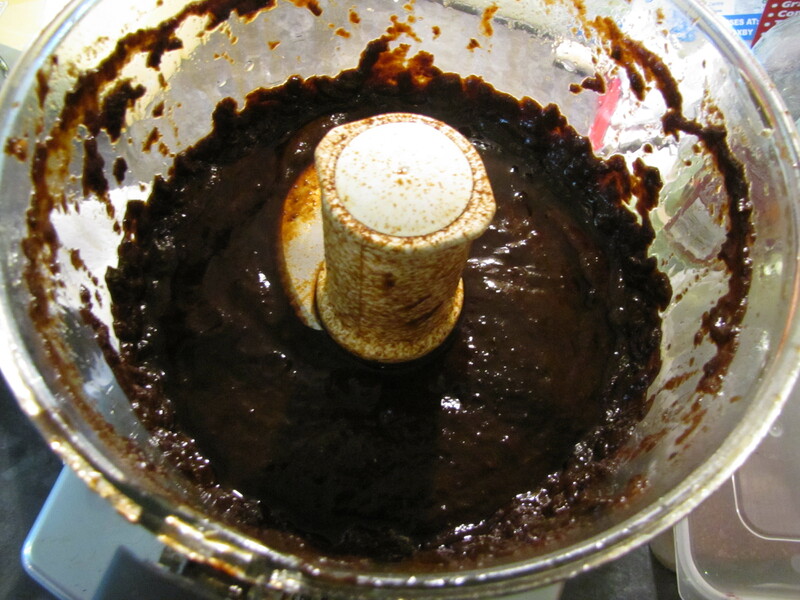 Mole Poblano takes time to prepare, and because of this it tends to be made in large quantities. The good news is that it freezes well. This recipe is enough for maybe 8 adults, so use on 8 chicken quarters or 2 whole birds. Also very good with Turkey (- I’m considering this as an ‘alternative’ Christmas dinner!) and a variety of vegetarian dished (this would be great with squash or beans). Struggling to find the right ingredients? As ever, you can improvise. 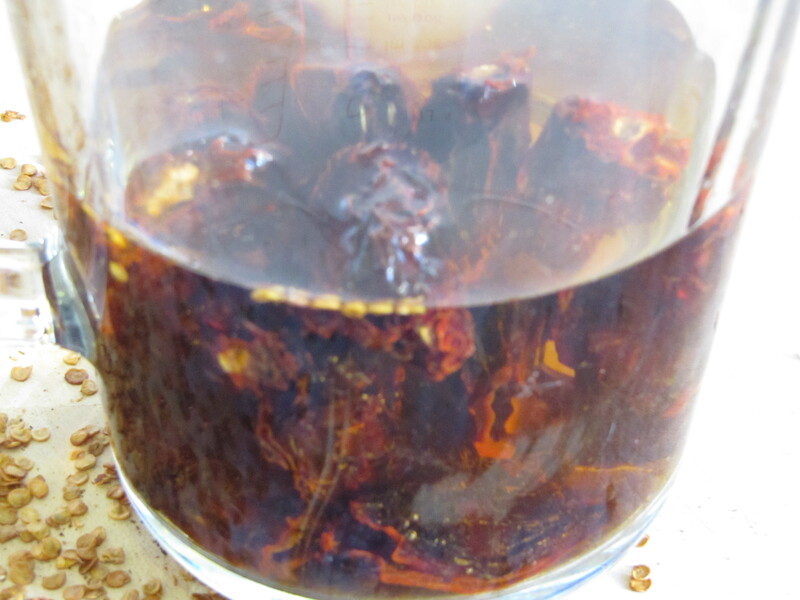 There is no hard and fast rule around which chillies you should use, but they should be mild. Can’t get hold of Mexican Chocolate? 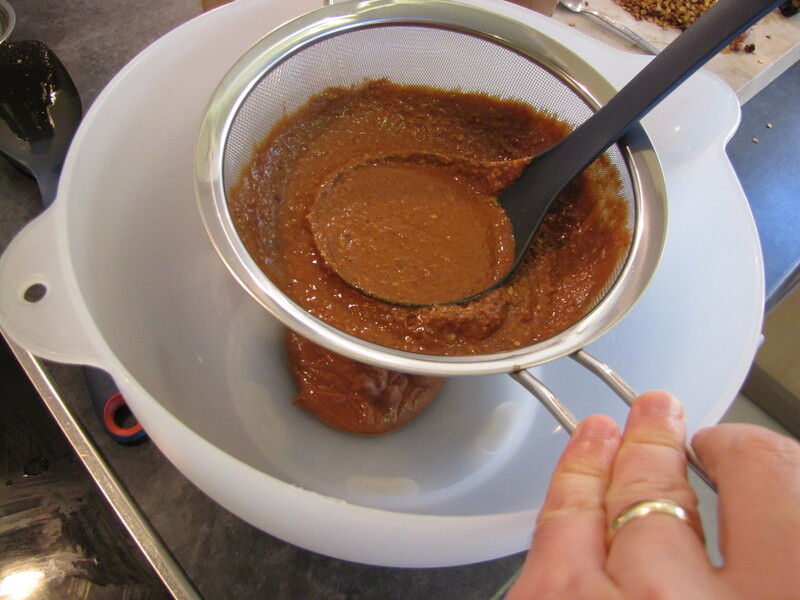 Use a high cocoa content dark chocolate and add a sprinkling of cinnamon instead. Alternatively you’ll find a lot of good suppliers of authentic ingredients on-line. I was fortunate enough to come across a shop on a recent weekend break to London. Staying across the road from the famous Borough Market, I came across the Cool Chilli Company and immediately fell in love. Fortunately for me, they supply their superb quality goods over the web – well worth checking them out. Start by preparing your chillies. Remove the stalk and slit open with a knife. 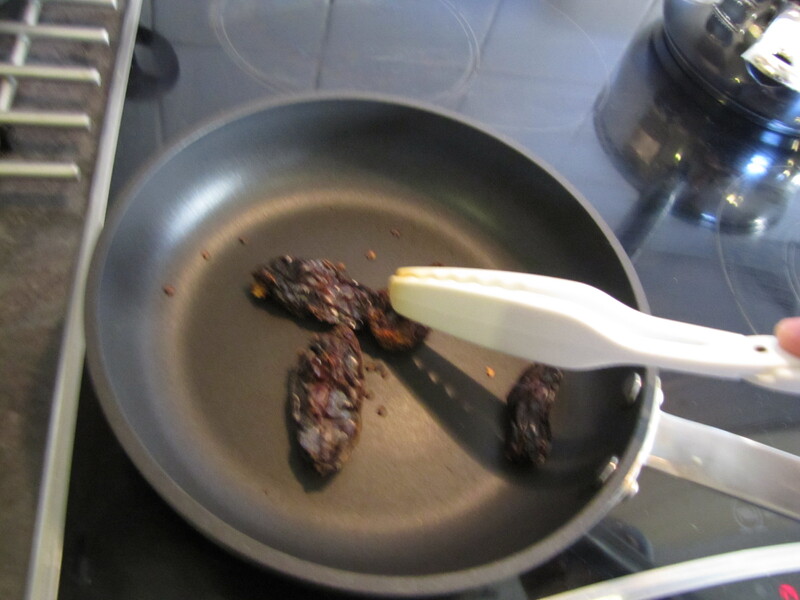 Remove the seeds – these will not be required in this dish, but don’t discard them, they can be used elsewhere! Put the garlic, almonds and raisins into a food processor with the tomatoes, sesame seeds, corn flour and ground spices. Blend until smooth. Once reconstituted, add the chillies to the food processor. Taste the liquor to ensure that it doesn’t taste too bitter discard, and add 600 ml to the processor. Blend until smooth. Heat the contents of the pan until it comes to the boil, bring to a simmer and continue to stir until thickened. Add 1 1/5 litres boiling water, 1 tsp salt and 2 tbsp sugar and stir well and simmer gently for about 1 hour, stirring occasionally until the sauce has a thick, rich pouring consistency. Taste and adjust seasoning to get a balanced flavour of spices against the salt and sweet. At this point the sauce is ready to use or freeze. 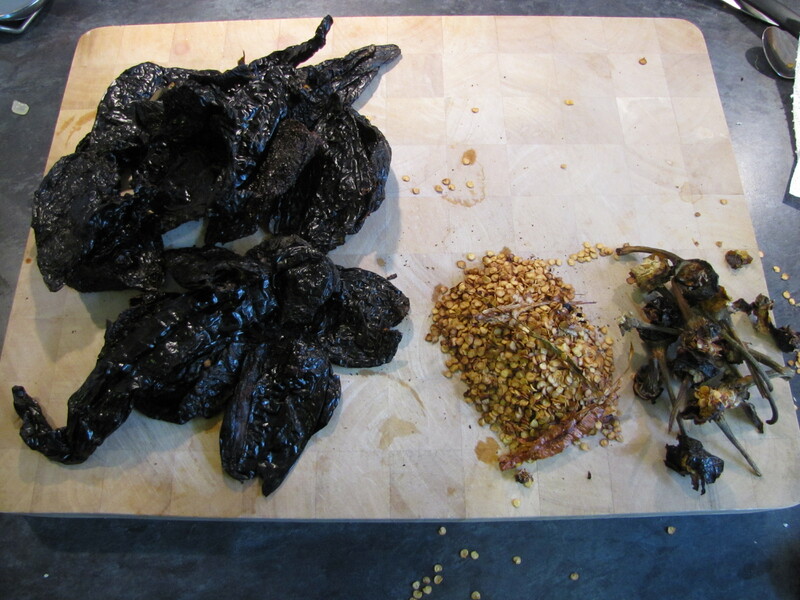 How about trying a simple Chicken Mole?